Today 22 January, Governor Sang was in the expansive ward of Songhor Soba inspecting and checking on the progress of development projects. During his visit, he inspected the opening up of the new Cherondo-Uson-Kabirer road, a 6Km road that will open up more than 5 villages and ease movement of people and goods across the area. The Governor said that he has resolved to personally inspect ongoing roadworks and other projects across the county to ensure that up to standard works are done. He also had an opportunity to interact with residents from the area and listened to their concerns. He addressed public rallies at Cherondo and Kapkechui areas. Sang also visited Seiyot Farmers Cooperative Society where he met stakeholders and farmers who benefited from the coffee seedlings distributed by the county. 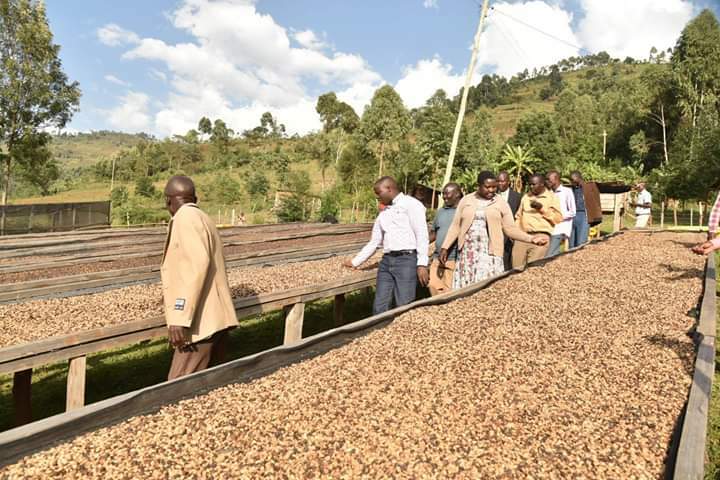 He said that his administration had distributed more than 200, 000 coffee seedlings to farmers. He added that many projects are ongoing in the ward and across the entire Tindiret Sub County. ✅Distribution of Accaricides to more than 50 Cattle dips in the Sub County. ✅Employment of 4 AI officers and acquisition of 4 Motorcycles to the officers.